Beside regular plant species which are commercialized by Garden Flowers for Everyone shop, returning customers and those who have had a longstanding relationship with the shop, through numerous orders and requested services, will be granted the privilege to access rare or even unique plant species and purchase them. 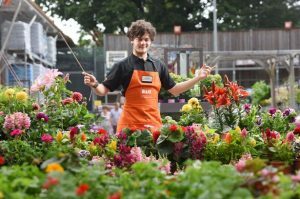 Coming as an idea to motivate special customers even more, the Garden Flowers for Everyone shop has begun to introduce rare plant editions which are available only for customers who have had more than 20 consecutive orders in the course of an entire year. It must be stated that the available plant species are all gardening only species, and none of them are classified as rare in the natural environments of reservations and parks. Therefore, the environmental issues are covered and the plant species which are present on the extinction list aren’t commercialized. Some of the rare plants which are available for purchase for special customers of Garden Flowers for Everyone include Jade Vine, Parrot’s Beak, Spiral Aloe, Katsumadai Ginger, Arabian Lilac, etc. No matter their choice, the customers who will purchase a rare plant offered by Garden Flowers for Everyone can be confident that the origin of the plant is controlled and that no governmental and environmental laws are broken. To confirm the validity of each of these rare plants commercialized by Garden Flowers for Everyone, the owners have obtained certificates for each plant, which contain the country of origin, the harvest time, harvester’s name, as well as other details which constitute the species’ physical characteristics: taxonomic classification, corolla symmetry, leaf symmetry, etc. Furthermore, these rare plants each come with its own pot that contains a generous soil sample with the exact requirements of the individual species, this way ensuring that those who purchase them have a good start with the provided soil and do not need to make additional purchases in that regard.